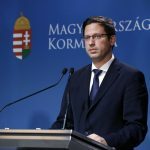 Europe’s greatness, strength and prestige are to be found in nation states that compete and at the same time cooperate with one another, Prime Minister Viktor Orbán told a state commemoration of Hungary’s anti-Soviet uprising of 1956 in front of Budapest’s House of Terror Museum on Tuesday. Brussels is not Istanbul, or Moscow, it is not imperial Berlin, or even Vienna, Orbán said. Brussels never set out to conquer anything, only to manage its colonies, he added. Brussels today is ruled by those who want to replace the alliance of free nations with a European empire controlled not by leaders elected by the people but by Brussels bureaucrats, Orbán said. There are many European countries today where those who believe in a European empire are in power, he added. He warned that there was a growing number of military-age men arriving in Europe from other continents and other cultures, and that “in our lifetime they will shape Europe’s major cities to their own image.” Slowly but surely Europe’s natives will end up in the minority, he said. Terror will become a part of big city life and political manipulation citing the rule of law will become common practice, he said. Orbán said freedom of expression and freedom of the press would only apply “as long as it is used to echo them”. The prime minister said those looking to turn the European Union into an empire were “without exception” in favour of migration. They have made the admission of migrants the measure of Europeanness and expect every member state and its people to immediately transform themselves into multicultural states, he added. 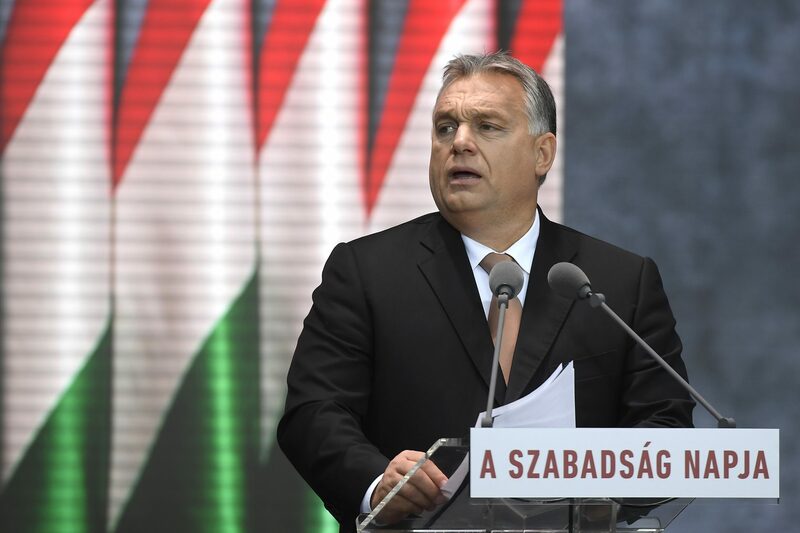 Orbán said the “Brussels vanguard and other anti-nation state leaders” viewed migration as an opportunity to replace the EU of nation states with a multicultural, uniform empire of a mixed population. Orbán added that although it was only October, everyone in Europe was focused on next May. He said the European parliamentary elections scheduled for that month would decide the direction Europe would go in, adding that the people of Europe had to choose their future. 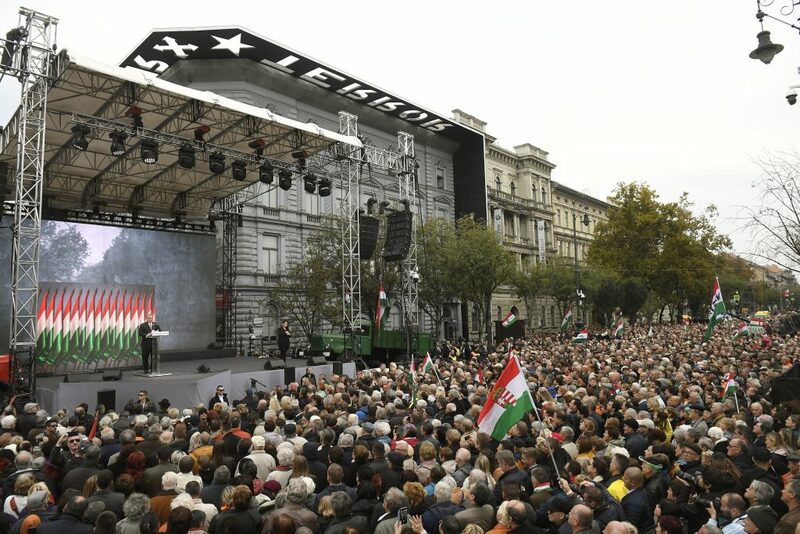 “We Hungarians must not stay silent, either,” Orbán said. “Let’s choose independence and a cooperation of nations over global governing and control. Let’s reject the ideology of globalism and support the culture of patriotism,” he added. Europe compares to no other continent, the prime minister said. It is the home of nations, not “a melting pot”, he added. “We believe that every nation is unique in its own way and can brightly light up the part of the world that has been entrusted to it,” he said. This was why, he said, Hungarians had revolted in 1956. He said “the freedom fighters of 1956 had made a sensible decision”. The Soviets withdrew from Austria, the Hungarian communists were focused on each other and the free West was urging Hungarians to rise up and promised help, Orbán said. “On one side there was the hopelessness of certain decay and on the other the once-in-a-lifetime last chance,” he said. “They had to try and they did. The only way we Hungarians know how. With death-defying bravery, by putting our bad disputes behind us, in complete unity and with a pure heart,” he added. 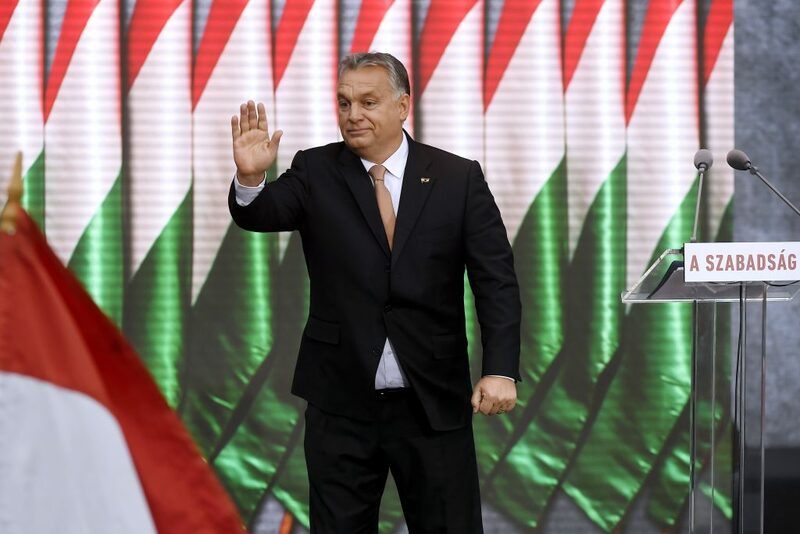 Hungary had a communist dictatorship for 34 years after 1956 and after the Soviets left, “we felt we could relax, our history, culture and ideology were finally in harmony … and we could once again occupy our place in Europe,” he said. But now the people of Europe and “with them, we Hungarians face a test of strength not seen for a long time,” he said. It is not an external military threat, not American or Russian efforts that endanger Europe but the threat comes from within, he added. Who would have thought that “the notion of an empire which has several times brought Europe to ruin could return, with others wanting to tell us whom we should live with in our own country, attacking Hungary, Poland, and threatening Romania, Slovakia and even Italy with fabrications,” Orbán said. Hungarians have suffered enough from empires and they “sooner or later chase the governors away”, he added. “Let us remember the freedom fighters of 1956 … and choose a future of patriotism and national pride,” he concluded.